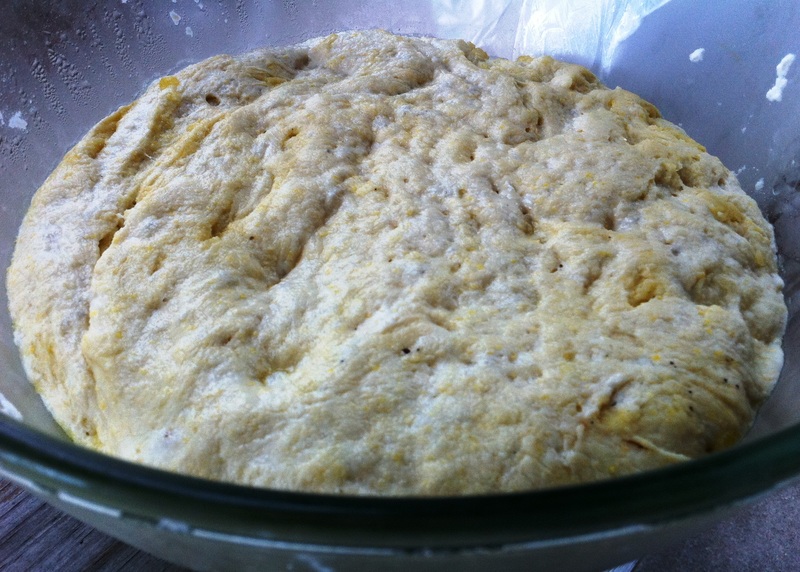 Cornmeal and a touch of honey make our Deep-Dish Pizza Dough extra flaky and delicious. We love pizza! But then, who doesn’t? What we don’t love is the high price tag that is oftentimes attached to a delivered pie. For years, we tried making our own pizzas at home, but the results always fell flat with crusts that were too thin, tasted like cardboard or were so crunchy we could use them to play Frisbee. When we finally tried this recipe in our test kitchen, we couldn’t believe how delicious it is. We know you will love it too! Cornmeal and a touch of honey make this dough light, flaky and the perfect base for your favorite toppings. Just be sure to prepare the dough the night before and let it rise in the fridge. In a medium-sized mixing bowl, place water, honey, and yeast; let dissolve 4 minutes. In a separate bowl, combine flour, cornmeal and salt. Slowly add the flour mixture to the water/yeast mixture in thirds. Before the last addition, add 1/4 cup olive oil. Sprinkle one tablespoon of flour on a countertop and knead bread until smooth. Transfer the dough to a bowl coated with olive oil. Turn dough to coat in oil. Cover and let rise overnight in the refrigerator.